The probe could lead to more matches being broadcast live after a Virgin Media complaint. The Premier League is being investigated by Ofcom over the way it sells TV rights, which could force it to allow more games to be broadcast live. At present just 41% of its 380 matches per year are on offer to broadcasters, a figure which critics claim is lower than many other top-flight European leagues. The investigation was sparked by a complaint from Virgin Media, which argued the current rights auctions make watching football more expensive for fans. The TV rights are currently shared between Sky and BT Sport, which paid a combined £3bn for 2013-16, 70% higher than the previous auction. Virgin Media isn't openly planning to bid in the future but broadcasts BT Sport games, so is affected by the knock-on prices. The league acknowledged that it was under investigation but was quick to point out nothing had yet been proven. 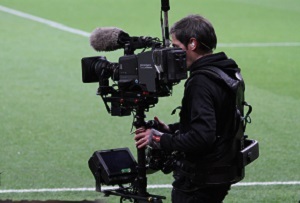 'The Premier League currently sells its audio-visual rights in a way that is compatible with UK and EU competition law and will continue to do so. We will be able to demonstrate that as part of this process,' it said in a statement. Taking action against a company because it won't sell something could be seen as a bit heavy-handed, but Virgin Media points out that UK fans typically pay vastly over-the-odds compared to their continental counterparts. Some would argue that just reflects the success and popularity of the UK's league, but for a generation of football fans jaded by the influence of money and malpractice that's unlikely to wash.